In this weeks' Torah portion we read the portion of "Mas'ei" "The Travels", or "The Stages" from the book of BaMidmar, "In the Desert." The name itself teaches us a great deal about life. Our life takes place in the desert as we walk slowly to our Promised Land. Along the way we will learn many lessons, but all this time, in a sense, we are in a desert, i.e. we do not have all the things we want, we are always lacking something. Much like the summer child who says, "Mom, I am bored, there is NOTHING to do", or looks at a full refrigerator filled with many wonderful foods and declares, "Mom, there is Nothing to eat." - We are that child, forever it seems. We are in the desert and we will never have everything we need/want until we arrive at the Promised Land. For some of us this means Enlightenment in this life, for most the Promised Land is only found when this round is over. "Ella mas'ei Banei Yisroel ashar yo'sa'u m'arass misroim l'siv'othom be yad Moshe w Aharon…These are the stages of travel of the Children of Israel once they left the land of Egypt under the leadership of Moshe and Aharon." "They traveled from Ra'amses on the first month on the 15th day of the first month, on the day following the offering of the Pesah sacrifice, the Children of Israel exited Egypt with a raised hand in the presence of all of Egypt." The Torah records many stops...Ra'amses, Sukkoth, Eithom, Pi HaHiroth, Mighdol, Marah, Eilemah, The Sea of Reeds, Sin, Dofkoh, Ohloosh, Refidim, Sinai Desert, the Graves of Lust, Haseroth, Rithma, Rimon Porass, Livnah, Resa, Kehelotha, Tohath, Torach, Mithka, Hashmonah, Moseroth, Banei Ya'akan, Hor HaGithgoth, Yatvotha, Avronah, Esiyon Govar, Kodesh, Hor HaHar on the edge of Edom; and then we are told that the great leader, Aharon the Cohen, my direct ancestor, passed away. "and Aharon was three and twenty and a hundred years at his death at Hor HaHar." The answer: Because the journey is important. Bruce Lee once wrote: Do not study the conclusions of the Masters but the process that lead them there." For in the creative process is the answer, not in the conclusion. We are all on this life journey. Just check out your daily feeds on Face Book, you will see people creating their own Bible of wisdom; little tidbits of wisdom they pick up while making huge mistakes in life. A journey might sound something like…born innocent, became a spoiled brat, received first iPhone, complained bitterly over her lot in life, received next generation iPhone, became even more spoiled and intolerable, arrogant teen, arrogant Liberal college student, first broken heart, first job rejection, first death of a friend, getting smarter and more sensitive, first sincere apology over breaking someone's trust, beginning to care about others, growing through pain, walking slowly towards the Promised Land, but not yet there. 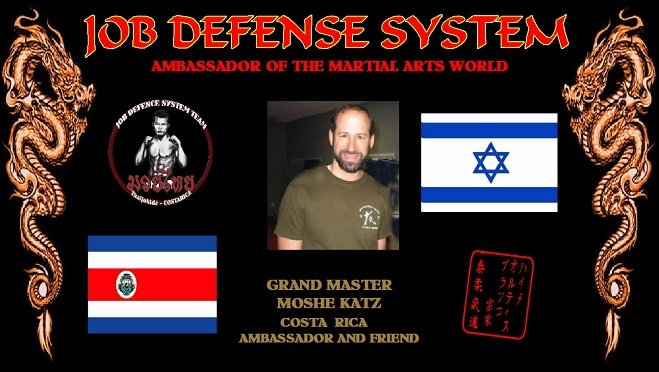 For me, the martial arts journey would be something like this… Judo in LA with Sensei Tony at the JDL offices, Shurin Ryu Karate with Sensei Haim in Jerusalem , Kyokushin Karate with Saiko Shinan Shigeru Oyama in New York, Shotokan in Maaleh Adumim and Jerusalem. Still looking for something real, friend says check out this guy named Itay, first meeting; bruises, followed by more bruises, 18 bruising years later; 4th dan. Along the way stops with Wing Chun Kung Fu, (Sifu Chun Kwok Chow, NYC), Pressure Points, (Prof A. Cohen, NY, noted instructor of Jerry Seinfeld), Wrestling, boxing, Tang So Do, Karate College with Dr. Beasley, the Gracie's….awarded 5th dan Black Belt by 6 associations, and then putting it all together to form a unique style of Krav Maga... but we are still walking towards the Promised Land, we are always in the desert. "They marched from Aloosh and encamped in Refidim; it was there that the people had no water to drink." "They marched from the wilderness of Sinai and encamped in the Graves of Lust, where those who lusted after meat and flesh died of the plague and were buried there." "They marched from Graves of the Lust and encamped in Hase'roth, where Miriam Sister of Moshe was stricken with leprosy, because she spoke slander against Moshe." We remember and we learn, there are many challenges along the path to the Promised Land, many battles lost, many wounds inflicted, but we continue. Just as we left Egypt with a raised hand so we continue with a raised hand and a raised head, for we are still walking, we are walking to our Promised Land. Perhaps we are a little battered and bruised, but we are walking..towards our Promised Land. Ambassador and Friend - I like that! Footnote: I just picked up my car from my mechanic, Eyal. He said to me, "Moshe, people complain about so many things and yet, everything happens for a reason. This week, for example, we read the Torah portion of Mas'ei, the travels of the children of Israel, and I was wondering: why do they list every single location at which the Children of Israel stopped? I think the reason is that every stop in life is for a reason. Every encounter, every problem, every stop has its purpose, but you will only find out later what that purpose was. Perhaps you were meant to meet someone or experience something." The Bible is relevant. History is relevant. 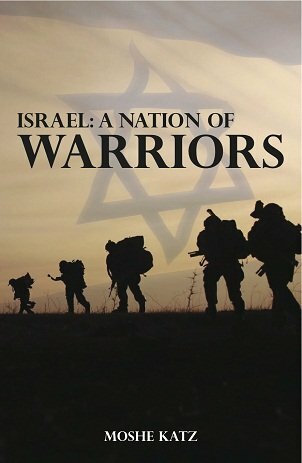 Learn the fighting history of the Jewish people from the Biblical period to our own times.